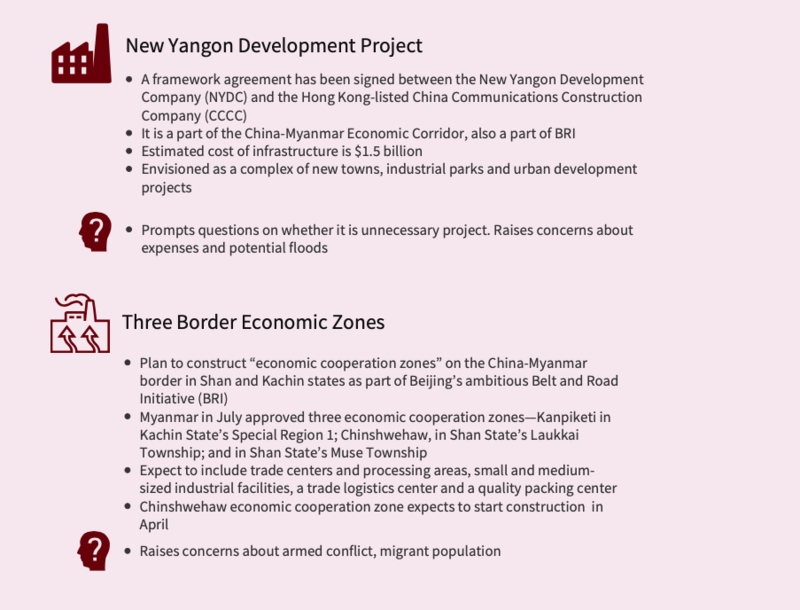 YANGON—Amid increasing global pushback against Chinese investment, Myanmar’s government has grown more agreeable to involvement in the Belt and Road Initiative (BRI). 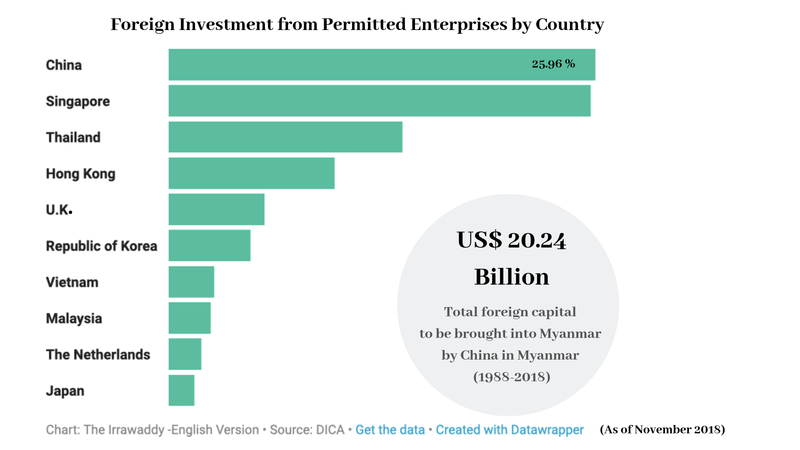 Looking back at the last three decades, Chinese investment in Myanmar reached its peak during the 2010-2011 fiscal year after President Thein Sein’s government took office. In the 2011-2012 fiscal year, Chinese investment began a rapid decline after the controversial $3 billion China-backed Myitsone hydropower project was suspended amid public outcry. The years between 2014 and 2016 then saw a steady rise in investment figures from China. Despite public wariness surrounding Chinese investments, the Rohingya crisis and condemnations from the West over what has happened in Rakhine State have pushed Myanmar back into the hands of the Chinese. 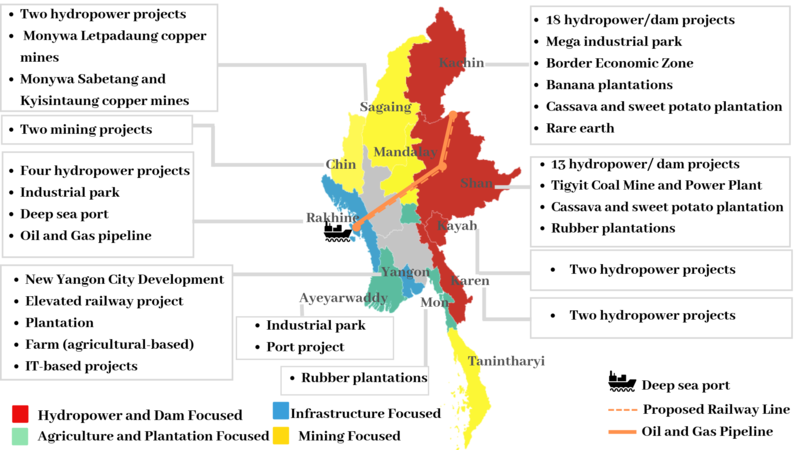 Last year, Myanmar began to adopt a “look east” economic policy and has the Greater China region in its new line of vision. Experts have been surmising that BRI infrastructure projects are set to become the country’s most significant source of investment and support for the country’s economic growth this year. 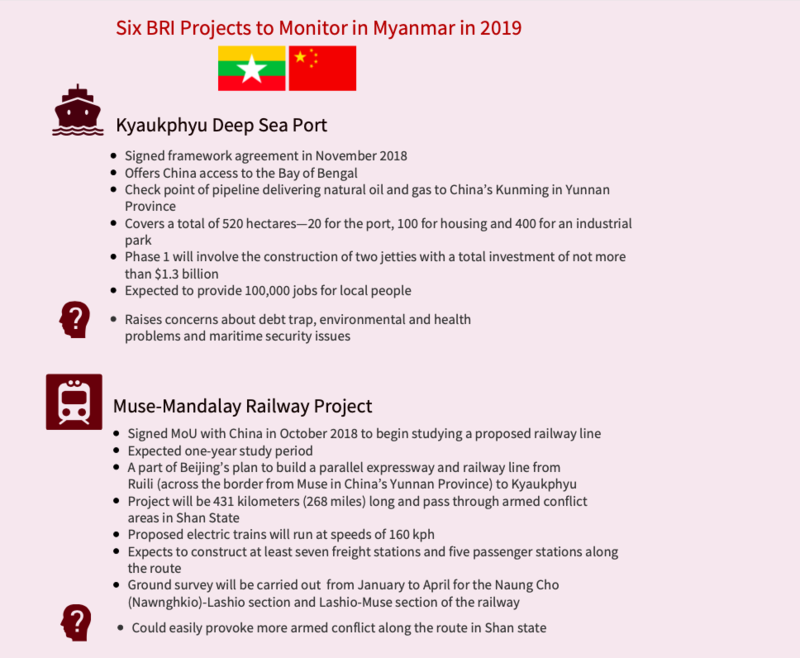 It is certain that China will remain to be a decisive economic influence for Myanmar which is also a potentially crucial partner in its BRI and other economic plans. In terms of foreign investment figures, China is now Myanmar’s largest investor as well as biggest trade partner. 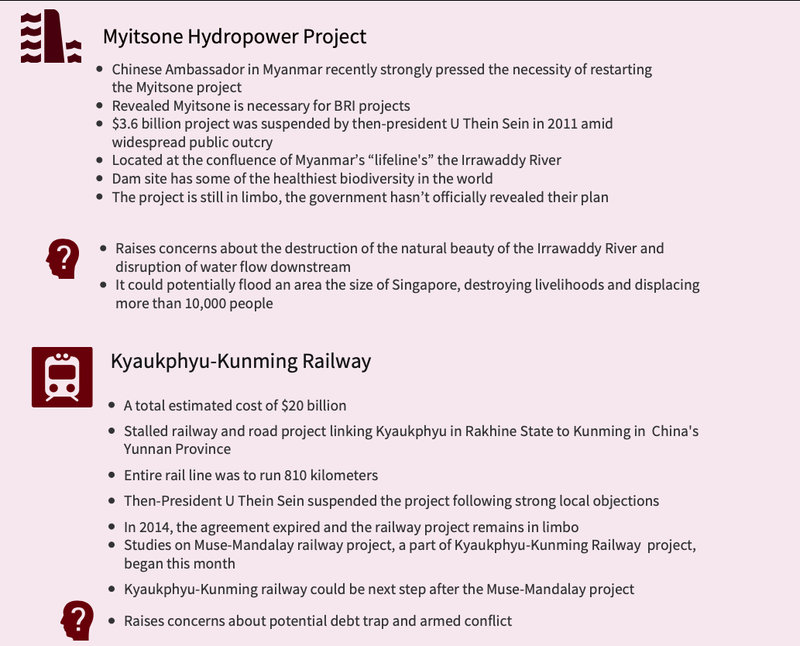 Here, The Irrawaddy compiles clear visualizations of all Chinese investment projects in Myanmar, including the proposed, those about to be implemented, currently being implemented, completed projects and those suspended due to public pressure and contract agreement issues. Ref: China Overseas Investment Data, Ministry of Electric and Energy, DICA, Global Environmental Institute: Investment Trade and the Environment Program report and rivers network.